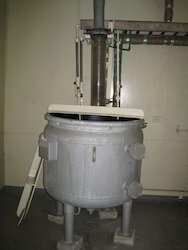 We are a leading Exporter of process reactor from Mumbai, India. The equipment seen in the picture is safest equipment to refining through most dangerous acid like acquaint in closed and highest efficient method, most suitable for operator to operate and take more yield than other refining devises in the market. We assure to increase the life of operator and neighbors.